Inclement Weather Cancellations: WCMGA activities and events may sometimes be canceled due to unusually severe weather. As soon as we know an event will be cancelled, notification will be posted here on our website, no later than 8 AM the morning of the event. 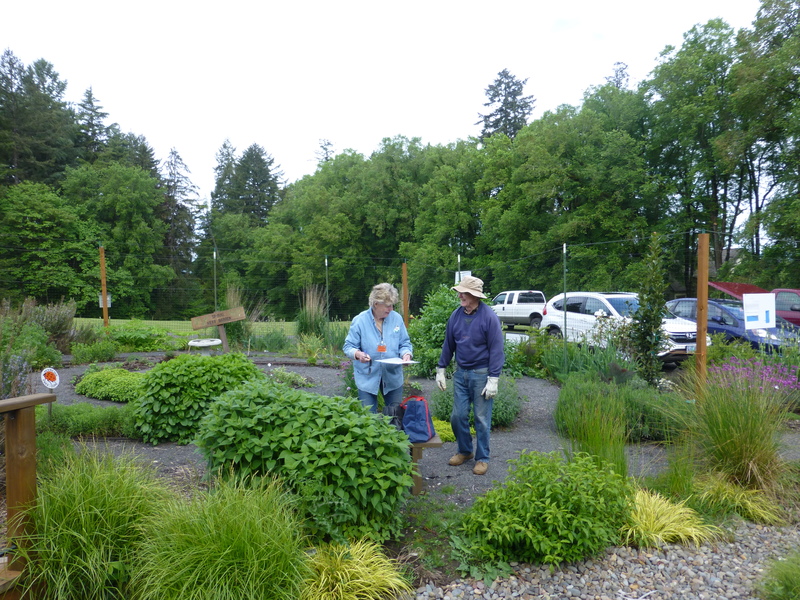 WCMGA events at the Learning Garden at Jenkins Estate –Call the THPRD Inclement Weather Hotline: 503-614-4018. THPRD also recommends visiting the THPRD.org home page, Facebook or Twitter for update closure information or listening to local media sources about closures. 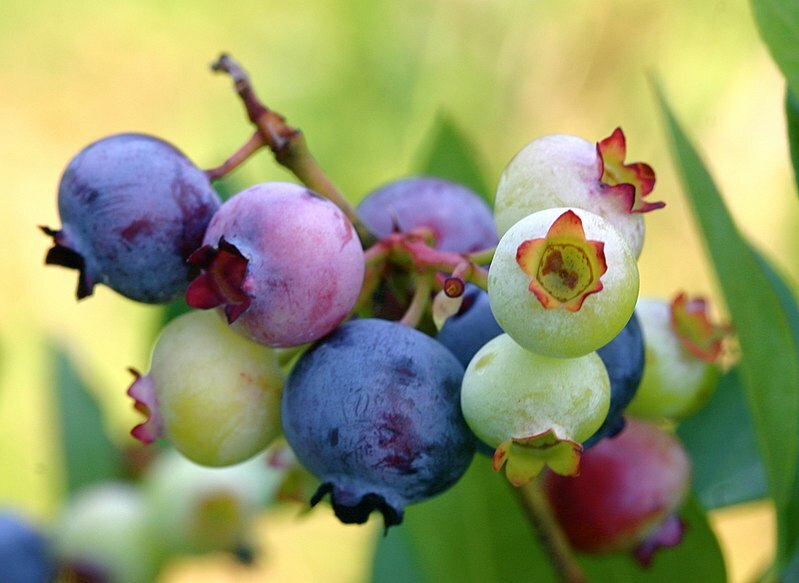 Blueberries are relatively easy and fun to grow. 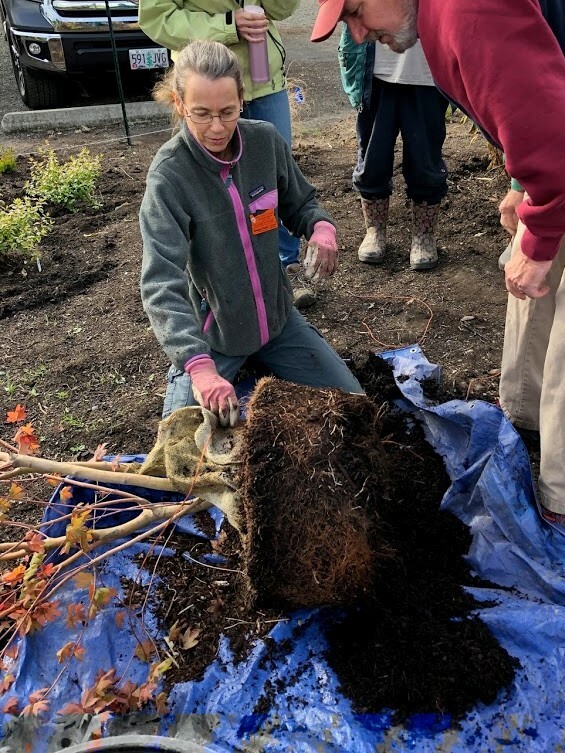 Learn about proper pruning techniques, including some hands-on opportunity to prune. Bring your own hand pruners and garden gloves. ◊ In the Garden Series ◊ WCMGA Education Garden at PCC Rockcreek Garden ◊ 17705 NW Springville Rd. Portland, OR 97229. PCC Rock Creek Education Garden. Map. 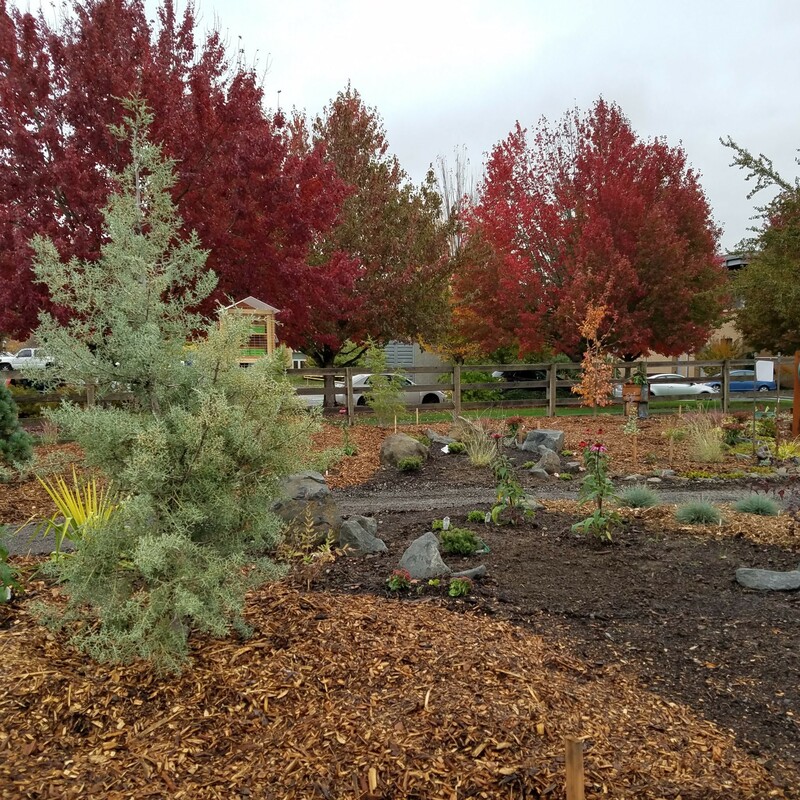 Enter from Springville Rd, drive past Building 9 and park in Parking Lot E. PCC Rock Creek Education Garden is located across the street from Building 9. Parking is free campus-wide on Saturdays. Free event, free parking, no registration needed. Event is held rain or shine, under cover, if needed. Dr. Bailey discusses the changing impacts of wildfire nationally, what has happened with the Eagle Creek fire specifically, and what we might expect to follow. As the work of silviculture (managing growth, composition, and health of the forest) shifts following the Eagle Creek fire and in anticipation of the NEXT one, what can motivated citizens do? How might we encourage others to do the same? What are the greatest risks in the next few years? Free event, free parking, no registration needed. Location: City of Beaverton Griffith Park Building, 4755 SW Griffith Drive, Room 330, Beaverton, OR 97005: Map. Hydrangeas, lilacs, small trees, more. Proper pruning greatly improves a plant’s appearance and health. Learn the basics of pruning small ornamental trees, shrubs, grasses; how much and when to prune, tools to use. Class does NOT cover pruning of fruit trees. 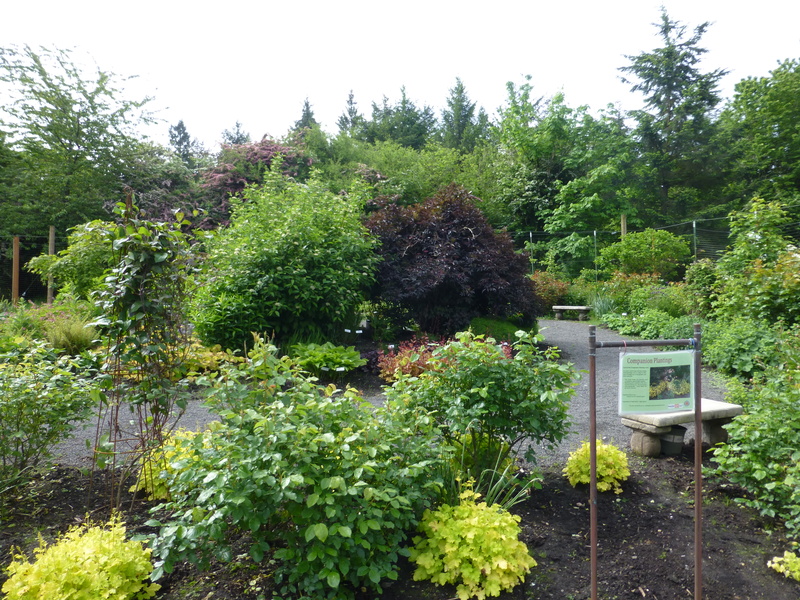 ◊ In the Garden Series ◊ Learning Garden at Jenkins Estate ◊ 8005 SW Grabhorn, Beaverton, OR 97007 Map On weekends, use the Camp Rivendale entrance on Grabhorn Road, park, then walk past the play structure down to the Learning Garden. Free event, free parking, no registration needed. Event is held rain or shine, under cover, if needed. Topic: Drip Irrigation-How, What, When, Where, Why and YOU! Thinking about drip irrigation but not sure where to start? Well, here’s the answer. In this session we’ll cover the following: drip vs. overhead watering; how to convert an existing system from overhead to drip; determining water needs for your site’s size, light conditions, soil and plants ; installation options; resources for information and supplies; tour of irrigation system at WCMGA Education Garden at PCC Rock Creek: hands-on activity with take-home sample plus ample time for questions. 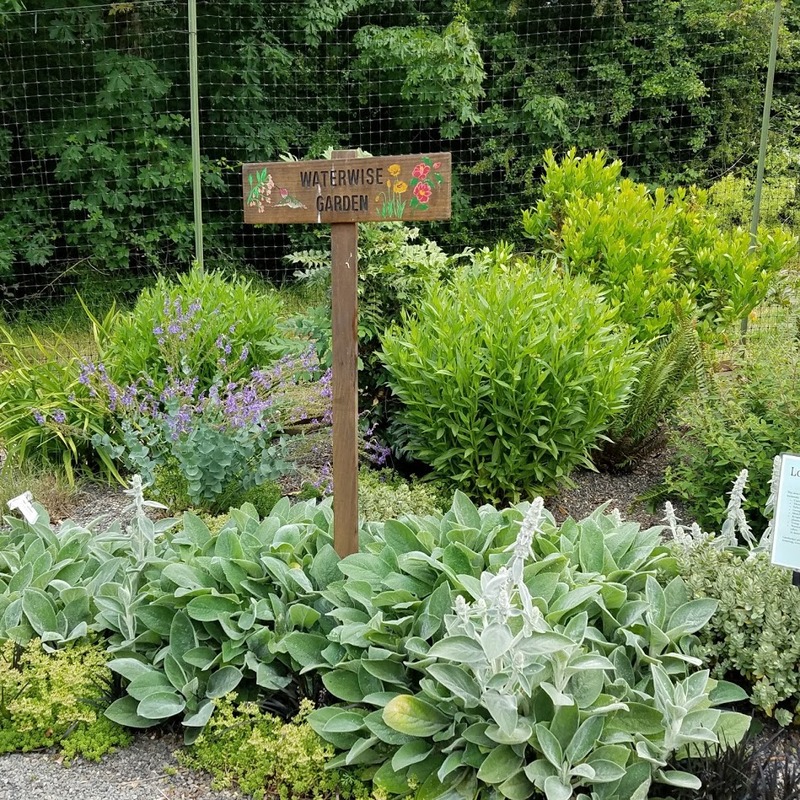 ◊ In the Garden Series ◊ WCMGA Education Garden at Rockcreek Garden ◊ 17705 NW Springville Rd. Portland, OR 97229. Building 4 Workroom. Enter from Springville Rd, follow past Building 9 and continue straight on the gravel road to Building 4. Map. Parking is free campus-wide on Saturdays. Free event, free parking, no registration needed. Event is held, rain or shine. 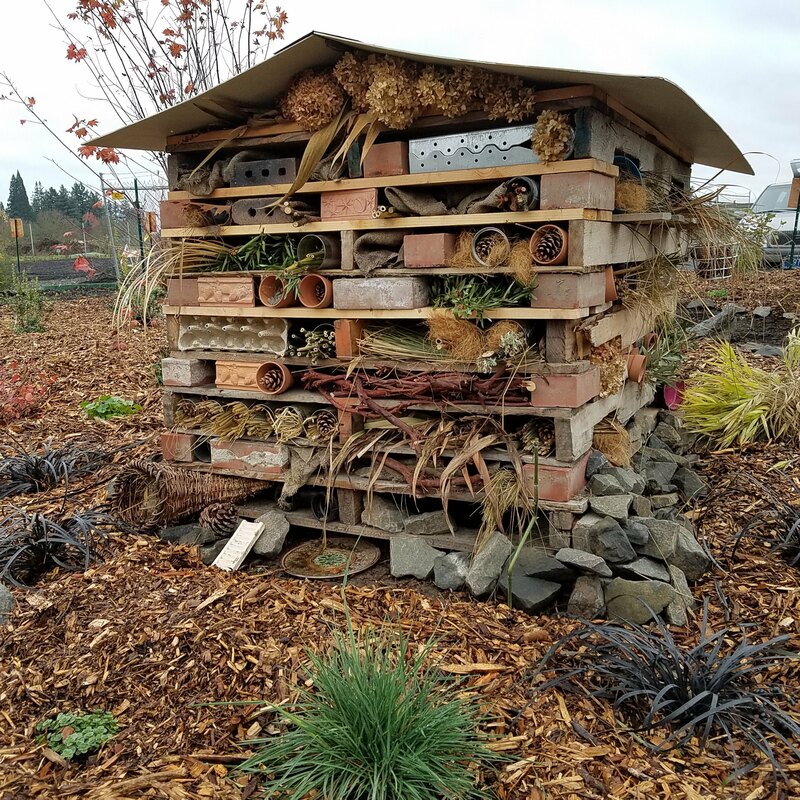 Focuses on the environmental needs of the mason bees, nesting behaviors of mason bees, nesting and housing devices attractive to mason bees. ◊ In the Garden Series ◊ WCMGA Education Garden at PCC Rock Creek ◊ 17705 NW Springville Rd. Portland, OR 97229. Building 4 Classroom. Map Enter campus from Springville Rd, follow road past Building 9 and Past Parking Lot E. At stop sign continue straight onto gravel road to Building 4. Parking is free campus-wide on Saturdays. Free event, free parking, no registration needed. Come learn what plants need to grow, plant vegetables or flower seeds to take home and nurture, search the garden for edibles and beneficials, and try out some weeding tools. For children 4 -7 years of age – must be accompanied by an adult. While gardening with native plants today is more popular than ever, gardeners often wonder how best to use them in the landscape. 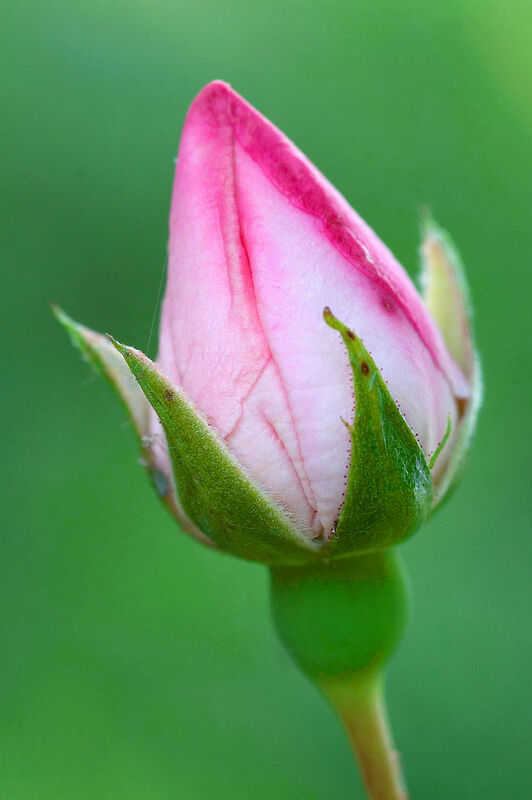 This presentation explores what makes a plant “native”, situates native plants in the context of native ecosystems, and adapts those ecosystems into concepts for the home garden. 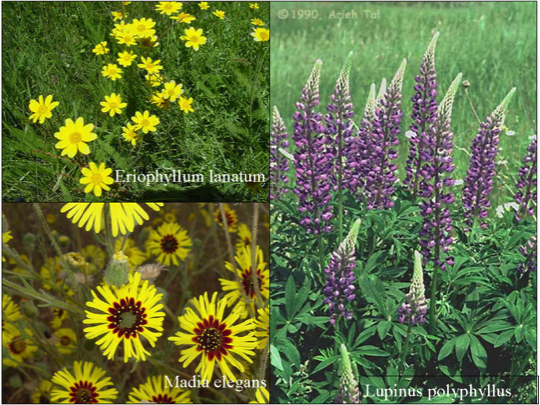 It also discusses where to obtain native plants and lists relevant resources. ◊ In the Garden Series ◊ WCMGA Education Garden at PCC Rock Creek ◊ 17705 NW Springville Rd. Portland, OR 97229. Building 4 Classroom.Enter campus from Springville Rd, follow road past Building 9 and Past Parking Lot E. At stop sign continue straight onto gravel road to Building 4. Parking is free campus-wide on Saturdays. Map. Free event, free parking, no registration needed. Mason Bees are important pollinators in the Pacific Northwest. Ron Spendal, well-known expert on mason bees, will give an overview of the biology, behavior and natural history of the Mason Bee. The presentation focuses on the environmental needs and nesting behaviors of mason bees, as well as housing devices attractive to them. 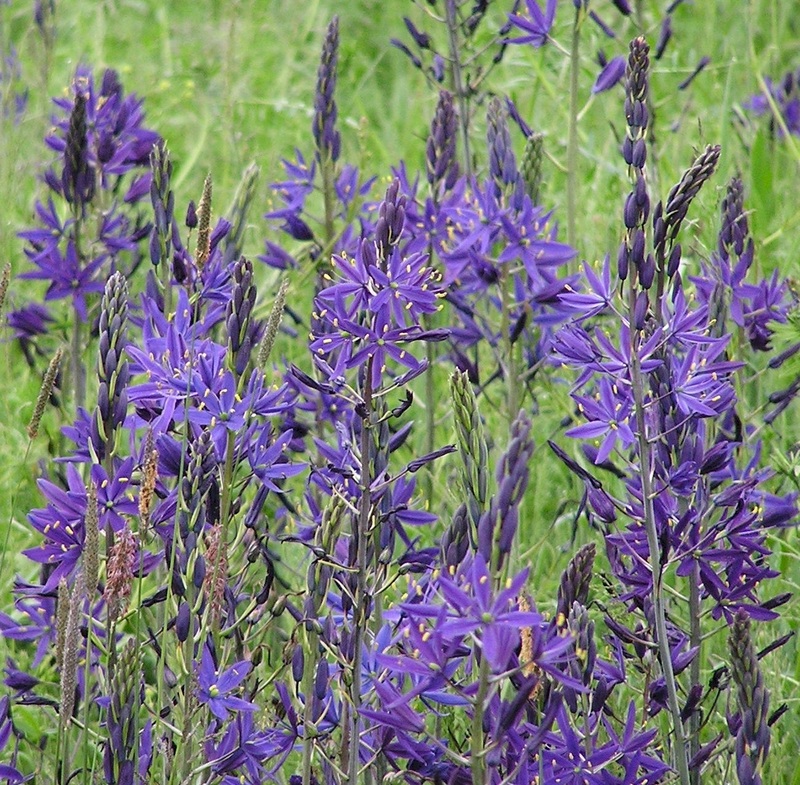 What is the definition of a native plant? 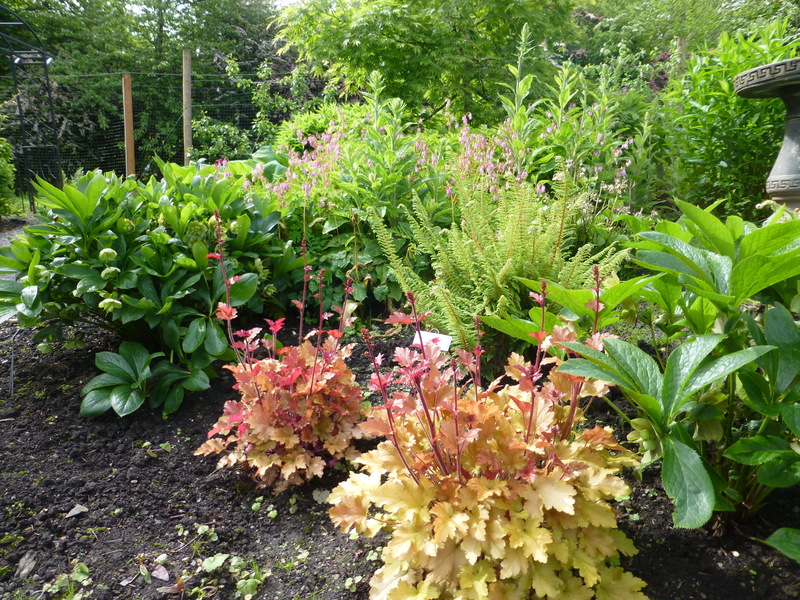 What specific Northwest native plants will grow well in my yard or garden? Come discuss and explore this timely topic. The day a tree is planted is the most important day in the life of a tree Unfortunately, many are improperly planted, which often causes a tree problems in the short term and later on. 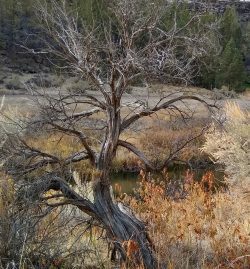 Learn how to select, place and plant a tree, giving it the best start possible for surviving and thriving in the landscape. ◊ In the Garden Series ◊ WCMGA Education Garden at PCC Rock Creek ◊ 17705 NW Springville Rd. Portland, OR 97229. Map Enter campus from Springville Rd, follow road past Building 9 and Past Parking Lot E. At stop sign turn left into gravel lot and follow to the garden site. Parking is free campus-wide on Saturdays. Free event, no registration needed. Event is held rain or shine, under cover, if needed. There seems to be a very large discussion about the good and bad of organic and/or conventional gardening/agriculture. This talk will look at how we currently grow food in our gardens; what we do; what we think are good gardening techniques; AMAZING myths; and really look at what fertilizers we use or the “scoop on poop”; how we control insects – or not: and the differences between these techniques or non- differences. This is not a good verse bad, this is to better understand the choices we make. 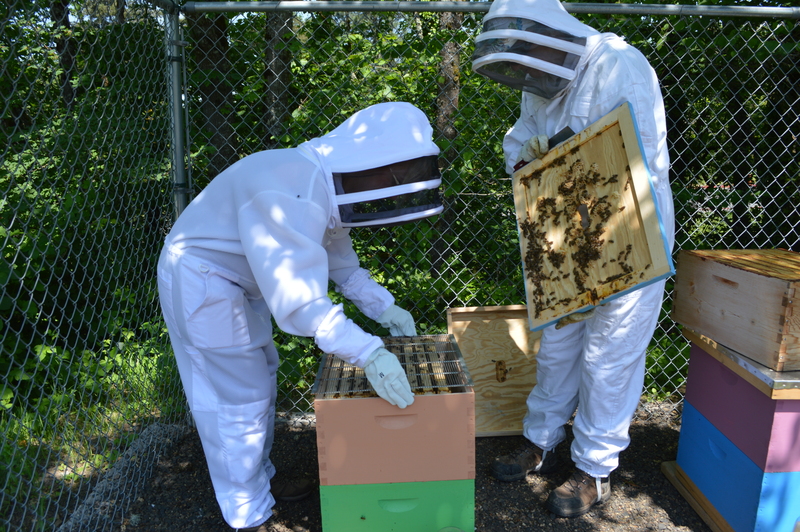 Interested in learning about beekeeping? Learn about the Best Management Practices for Backyard Beekeeping, how to site your hives, how to be a good neighbor, resources in the community and more. 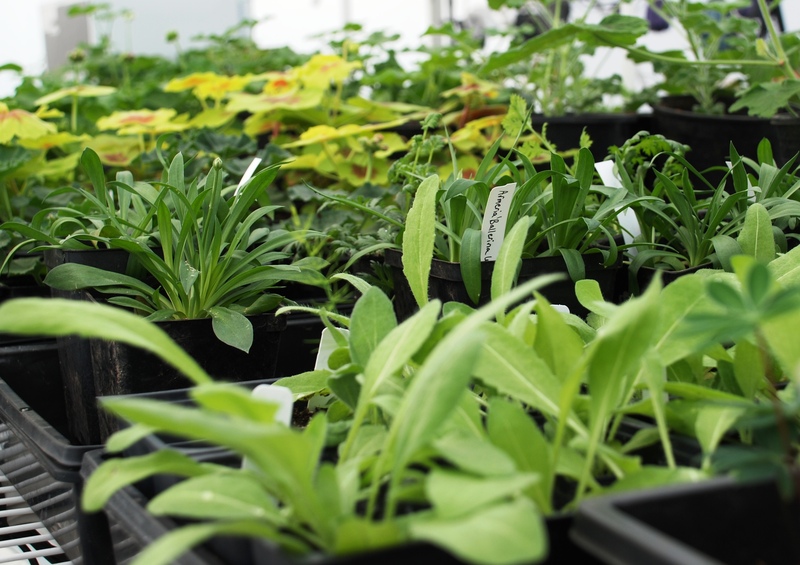 A hands-on introductory plant propagation class with focus on cloning through stem cuttings. Cutting and preparation techniques will be demonstrated; students will take cuttings of various perennials and shrubs (provided). Potting mix and after-care will be discussed. Bring your gardening gloves and sharp pruners or scissors if you have them. Learn techniques for growing vegetables in very limited space by maximizing planting density and limiting the need for thinning, watering, and weeding. Tips for soil maintenance will also be provided. 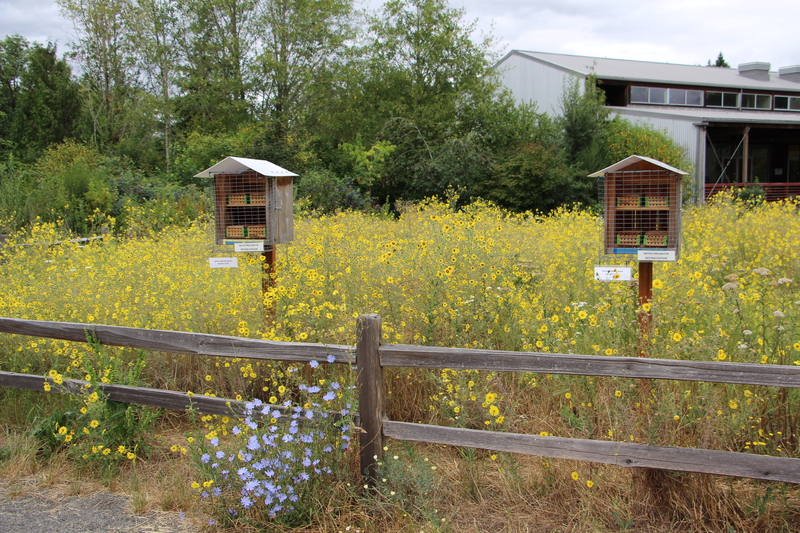 Topic: Beneficial Insects: How and why we should invite them into our landscapes. Approximately 97% of insect species in our home landscapes are beneficial or “innocent bystanders”; yet often we seek to rid ourselves of them by resorting to insecticides. Using provided nets and magnifying lenses, we will learn to identify beneficial insects, how they help with pests, and ways we can attract them to our yards. The presentation gives a broad overview of National Wildlife Refuges (NWR), their history, mission and extent across United States, emphasizing their importance in conservation of natural resources, their role in endangered species management and how important they are for people. It will identify the attributes and the unique role of the Tualatin River NWR (TRNWR); an Urban refuge designed to be used by people for education and enrichment and intentionally located near a metropolitan area. Bittercress, curly dock, dandelion, nutsedge, bindweed, horsetail, and more! So many NW weeds. 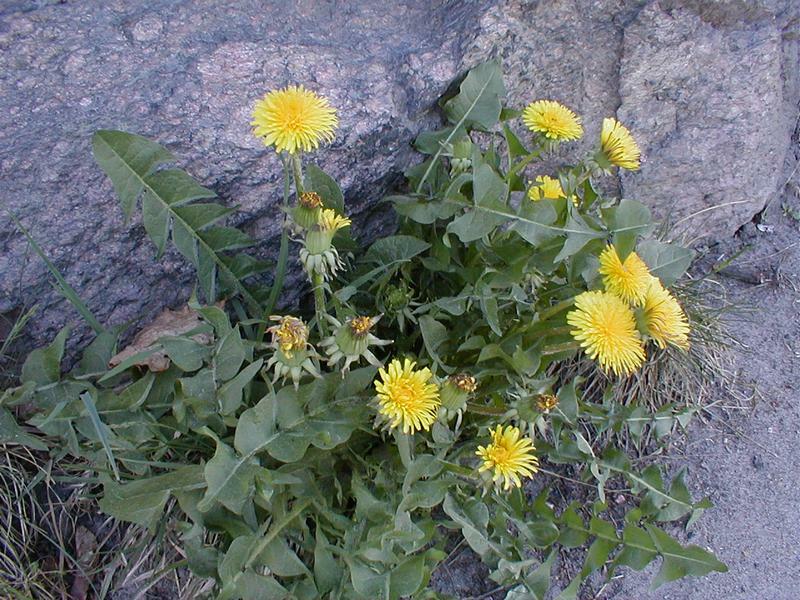 Learn the differences between perennial and annual weeds, and how to best control these annoying uninvited guests in your yard. Herbs are great for seasoning food and gorgeous in the garden too. Learn herb selection, best soil conditions and location to create and maintain a bountiful and beautiful herb garden. Garden soil is the literally the foundation of the garden. With fall just around the corner, this is a good time to assess your soil and take steps to protect and enhance it. 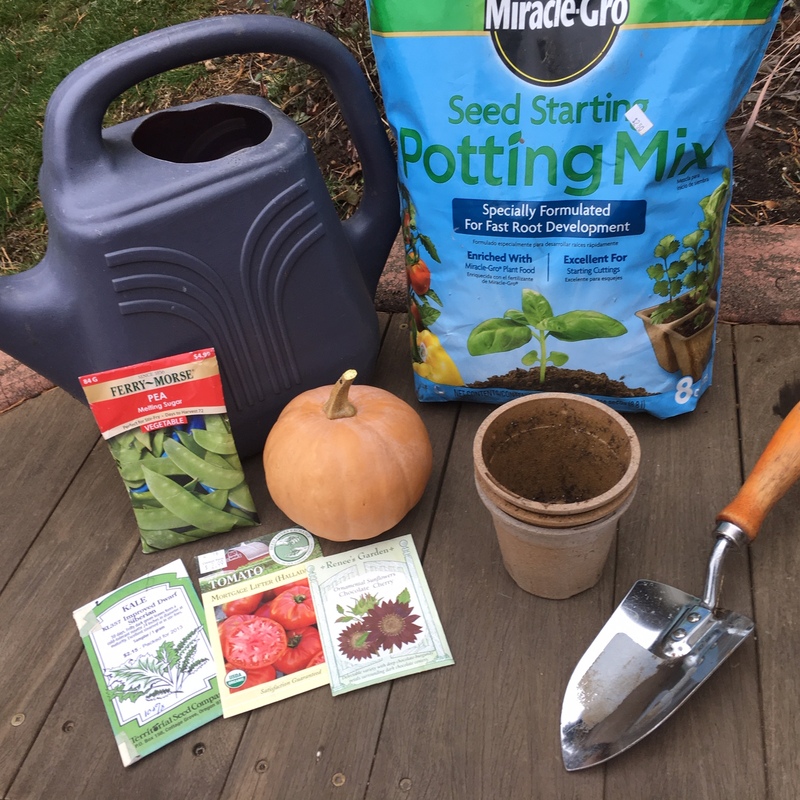 Learn about ways to care for your garden soil by understanding the importance of pH; ways to avoid soil compaction; creating your own garden mulch by leaving the leaves; techniques to take a soil test. 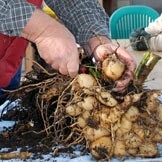 We will also provide some resources on composting for your home garden. Hands-on class to harvest your favorite heirloom seeds on a home-garden scale. When to harvest. Wet and dry cleaning. Drying techniques, Storage conditons. 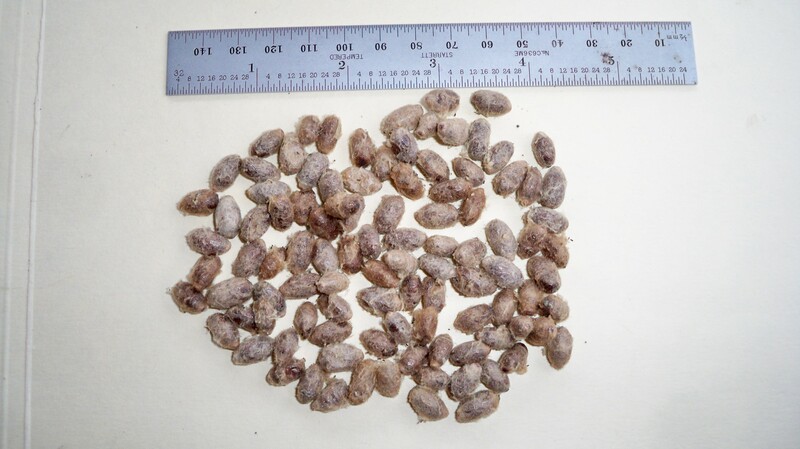 Best practices to ensure seed viability. Pioneers brought their saved seeds with them when they crossed the Oregon Trail…the tiny,might seed! 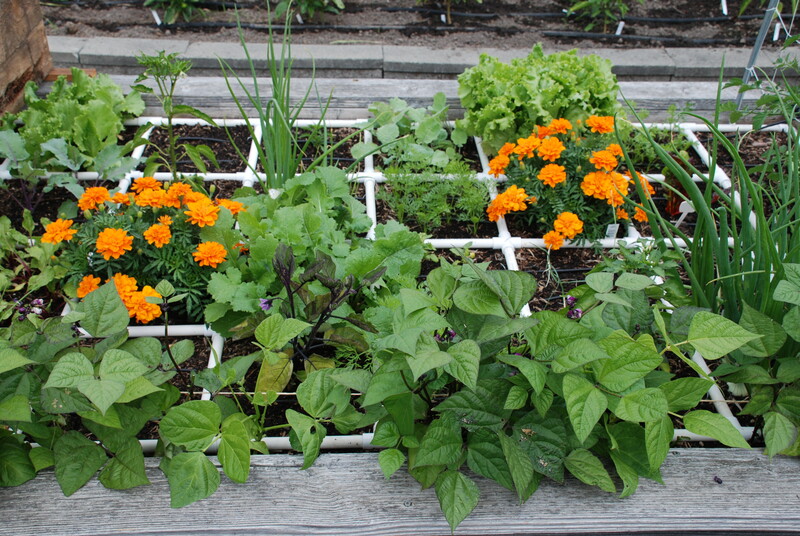 Tour the Learning Garden for planting and growing ideas covering natives, small fruits, perennials, herbs and vegetables. Free workshops. Activities for families. 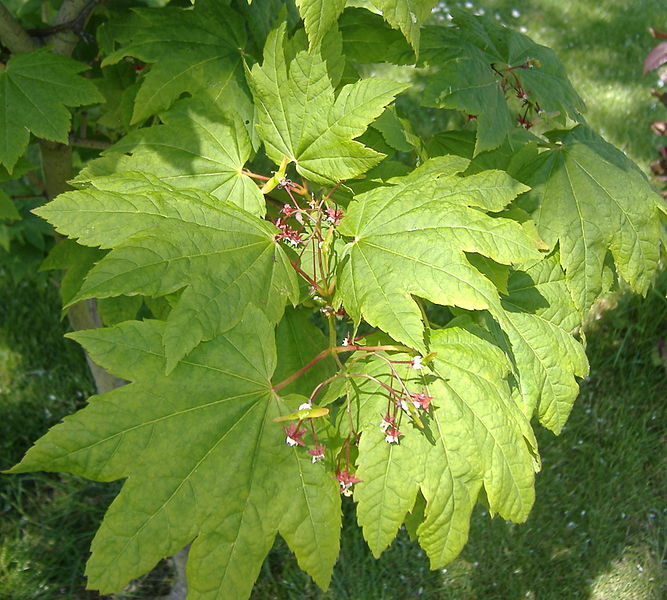 Confused about when and how to prune your trees, shrubs and perennials? Learn when, how and where to prune to get the results you want. Does not cover fruit-pruning of fruit trees. 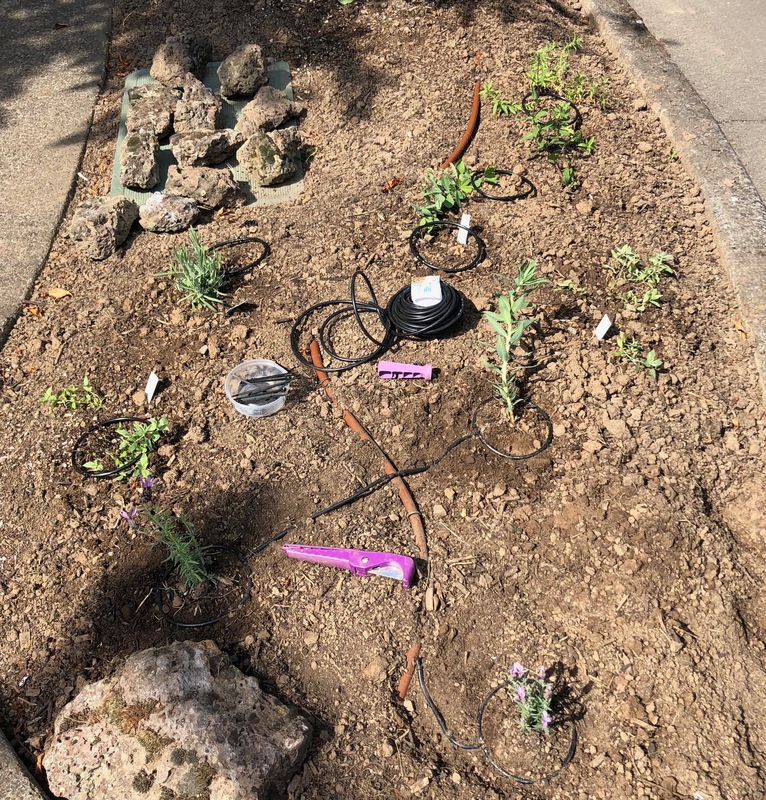 Understanding the difference between Drought Tolerant and Drought Resistant plants is important; understanding why we need to incorporate them in the landscape is crucial. Learn how, when and which plants to divide with a hands-on demonstration. You can bring an overgrown clump for guided practice. Seth Menser. a park supervisor for Portland’s Parks and Recreation Bureau, oversees Washington Park, the International Rose Test Garden, Hoyt Arboretum, and Pittock Mansion. His decade of work at the San Diego Zoo allowed for numerous overseas plant conservation expeditions, with an emphasis on the native Ficus trees of Australia. 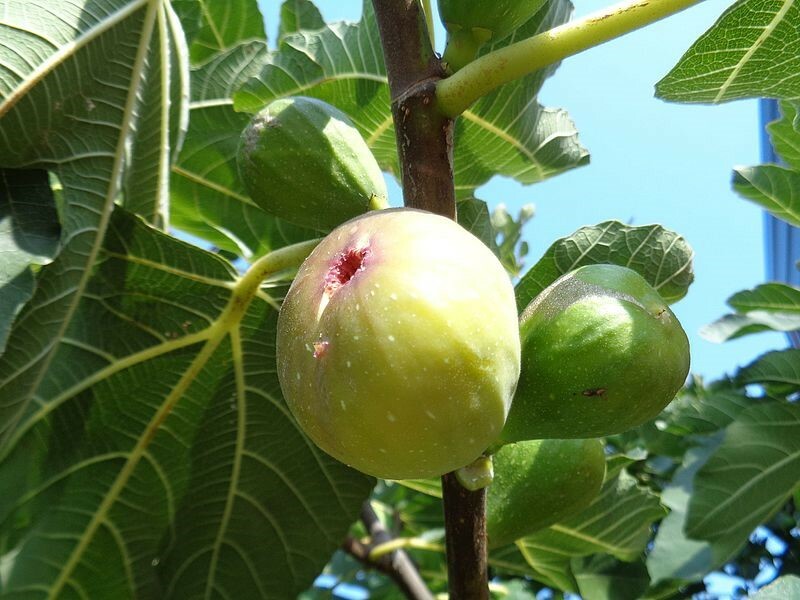 Seth will give a presentation on the various types of Ficus and highlight many of the species with photographs. Need gardening inspiration in the middle of winter? Get a a head start on Spring as Tom Fischer of Timber Press gives us his take on recently published gardening books. He brings a selection of some of the best gardening books of the year to peruse and possibly purchase as gifts for yourself or for family and friends. 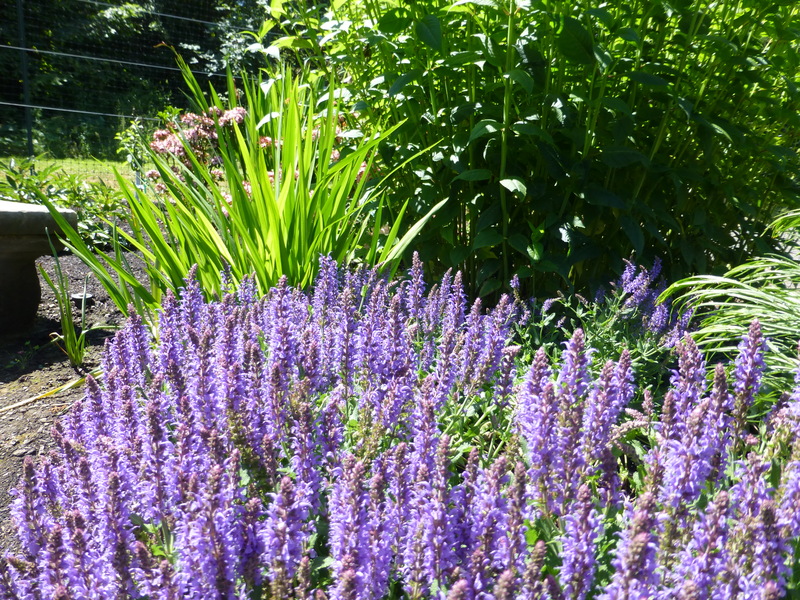 ◊ In the Garden Series ◊ PCC Rockcreek Garden ◊ 17705 NW Springville Rd. Portland, OR 97229. Building 4 Workroom. Map (southwest corner). Enter from Springville Rd, continue past Building 9 and Parking Lot E. At stop sign continue straight on gravel road to Building 4. Parking is free campus-wide on Saturdays. Free event, free parking, no registration needed. This talk will provide an update for the public and Master Gardeners in the Metro area about new findings for urban gardeners affected by climate change. Jane Hartline strongly believes gardeners can save the world! She describes her work to restore Sauvie Island, and will offer ideas from her work. The partnership of volunteers, landowners, public agencies, and non-profit organizations has gone beyond ivy removal to plantings that restore grasslands, habitats for rare aquatic plants, place osprey nesting platforms, and more. This hands-on session will prepare you to incorporate wildlife friendly plants and features into your yard. Already gardening for wildlife? We have something for you too—this session will end with an overview of citizen science opportunities for wildlife gardeners. Whether you are a pollinator fan, or nuts about birds, this session has something for you. Adults and interested teens. 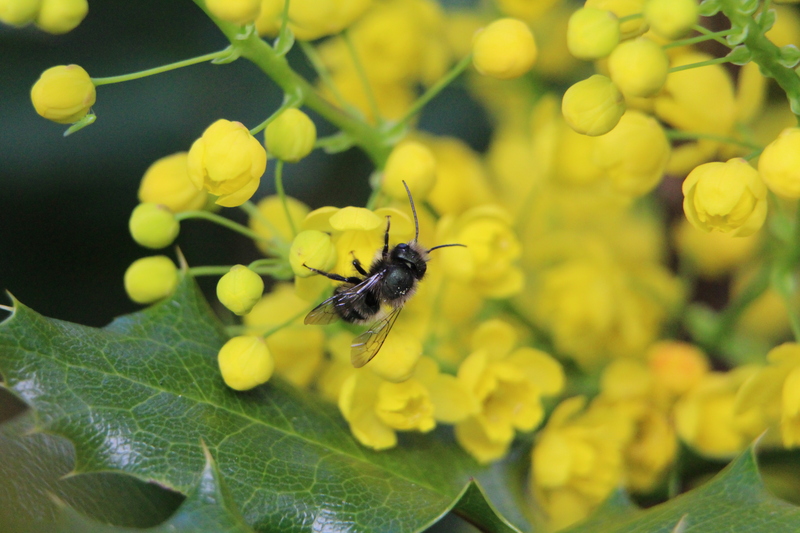 Addresses the biology, behavior and natural history of the Mason Bee. ◊ In the Garden Series ◊ WCMGA Education Garden at PCC Rock Creek ◊ 17705 NW Springville Rd. Portland, OR 97229. Building 4 Classroom. Map (southwest corner). Enter from Springville Rd, drive past Building 9 and Parking Lot E to first stop sign, continue straight on gravel road to Building 4. Parking is free campus-wide on Saturdays. Free event, free parking, no registration needed.